“And the Word was made flesh and dwelt among us.” This is the beginning, the meaning and the reason why we have Christmas and why we celebrate Christmas. God in all His goodness and love realized His dream and promise to save us from “the darkness of sin and the night of unbelief”. 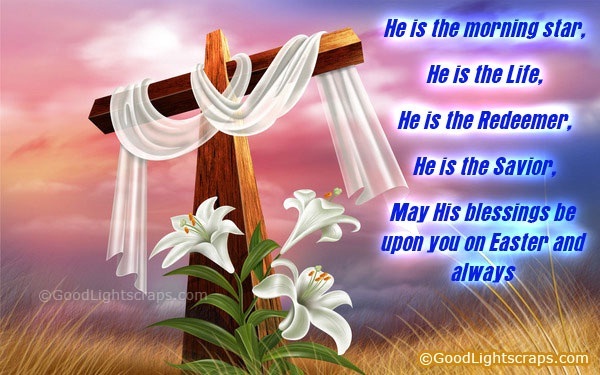 He saved us from all our misgivings, our weaknesses and divisiveness. This is the season of giving, forgiving and re-uniting. It is the time to be together as one “CBF-Southeast Asian Family” celebrating the joy and happiness that this season brings. 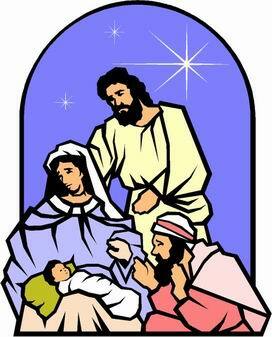 As members of this sub-region, we wish and we dream that our “Christmas be White”, that “Silver Bells” will be ringing joyfully in our homes, that the Prince of Peace will reign in the hearts of everyone especially during “Silent Nights”. We have that “Whispering Hope” for “Santa Clause to come to Town” led by “Rudolf the Red-nosed Reindeer”. This will happen only when we “Give Love on Christmas Day”. Giving love on Christmas and always is to be “Witness to the Word”! 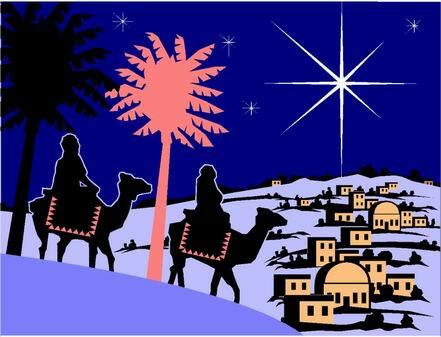 Yes, Christmas is the time of giving, we are called together to give, we are born to give. You are “the Gift”! Christmas will never be meaningful, memorable and fruitful without the spirit of giving. Indeed, we are happy when we receive something beautiful on Christmas but we are happier still if we give something more beautiful to our less fortunate brothers and sisters. There are those who will experience “Blue Christmas” without you… because they can’t expect to receive a gift during this season, but there are those who will be bluer still because they have nothing to give. Yes, how sad it is when we have nothing to give at all because of pride and greediness – the saddest state of a joyful time. As God gave His only begotten Son to us, let us give each other what God has given. It was the Divine Word who said: “the gifts that you have received, give as a gift”. If we do this, then it is “Christmas in our Hearts”… together we can sing with the Angels… “Glory to the New Born King”… “Peace on Earth and to all Members of CBF-SEA of Good Will! Though it has been said many times, many ways: We wish you all Merry Christmas and a Blissful New Year! BANDUNG, INDONESIA. BIBLIODRAMA formation started in Indonesia in the summer city of Bandung in the island of Java in 2006. 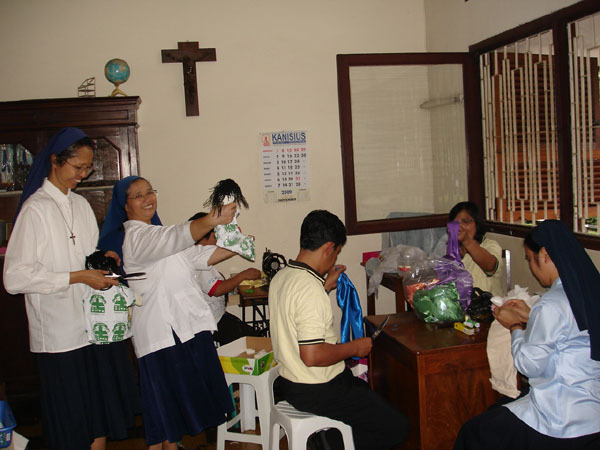 It was organized by Sr. Emma Gunanto, an Ursuline Sister who is involved in the Biblical Apostolate for many years. 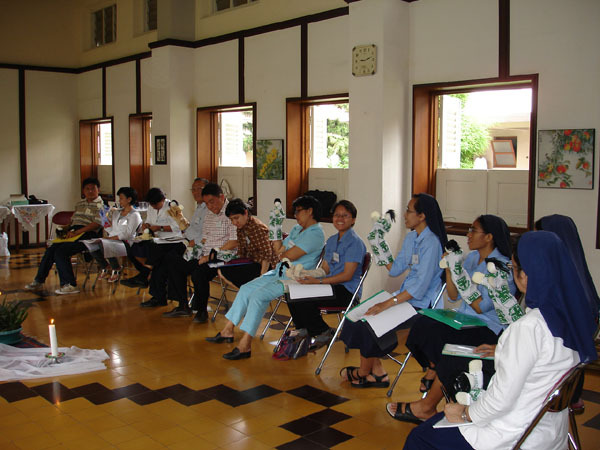 As the Subregional Coordinator for Southeast Asia she organizes ongoing biblical pastoral formation for workers and partners in the Biblical Apostolate in the worldwide Catholic Biblical Federation (CBF). 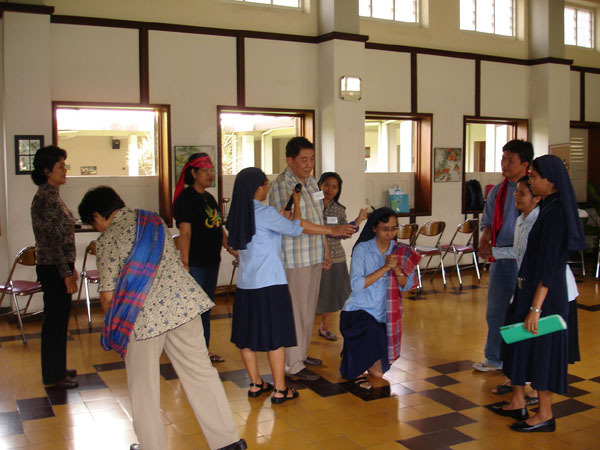 Sr. Emma was responsible in bringing the Bibliodrama Experience to the Philippines and to the rest of Asia and the Pacific in 1998 when she organized together with the Episcopal Commission for the Biblical Apostolate (ECBA) of the Catholic Bishops’ Conference of the Philippines (CBCP) chaired by Bp. Crisostomo Yalung, DD. 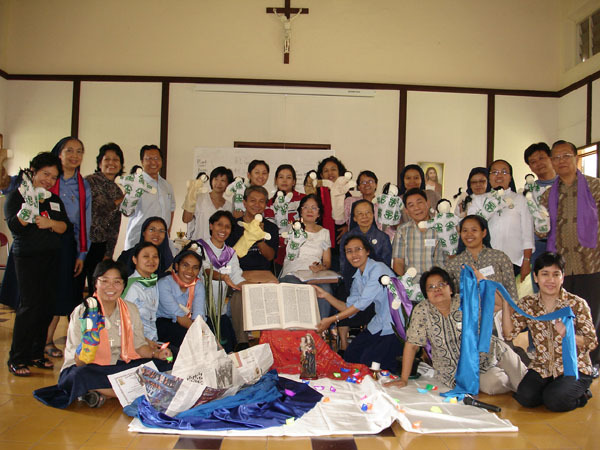 For the past eleven years of Bibliodrama experience, the Biblical Apostolate in Southeast Asia has been strengthened in its biblical pastoral formation. BIBLIODRAMA INDONESIA was finally born last week after twenty five (25) participants graduated in the first ADVANCE BIBLIODRAMA FACILITATORS’ WORKSHOP at the Provincialate House of the Ursulines in Bandung city. Those who took the Advance Course were the graduates of Bibliodrama Workshop in 2006 and participated in the Basic Bibliodrama Facilitators workshop in 2007. After having completed the Advance Bibliodrama Facilitators’ Course last November 9-14, the graduates can now facilitate a Bibliodrama Workshop. At last a team is born as BIBLIODRAMA INDONESIA. The team can now begin to make plans for their ongoing formation and for promoting Bibliodrama in Bahasa Indonesia. 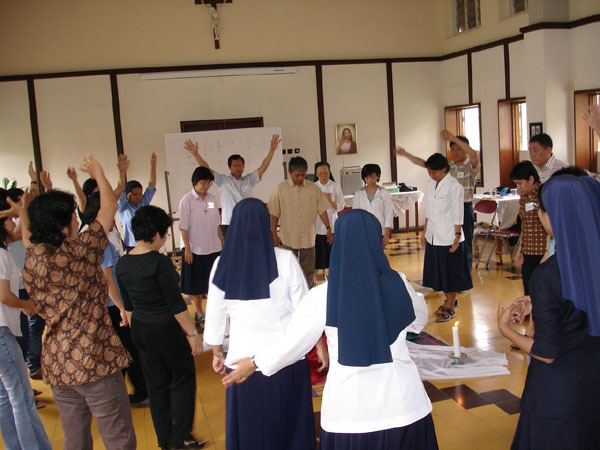 The twenty five participants came from parishes, schools and communities from the Java Island. It was a good mix of three (3) laymen, nine (9) laywomen, twelve (12) Ursuline Sisters and one (1) Holy Cross religious priest. The challenge for the team now is to put together their efforts on how to spread the Bibliodrama experience in the local churches. After the Advance Facilitators’ Workshop, Sr. Emma and I proceeded with another Bibliodrama Workshop (Nov.15-18) for a bigger group coming from different parishes, schools and communities. There were thirty two of them comprising of twelve (12) men (2 seminarians), eleven (11) ladies and nine (9) Ursuline Sisters. The group was a good combination of how committed women and men can team up with religious women and vice versa. The participants graduated as a new community of potential members of Bibliodrama Indonesia. ECBA is happily sharing its services to the Asian churches as partners in the vast responsibility of animating Biblical Pastoral Ministry. We thank you for your prayers and support.